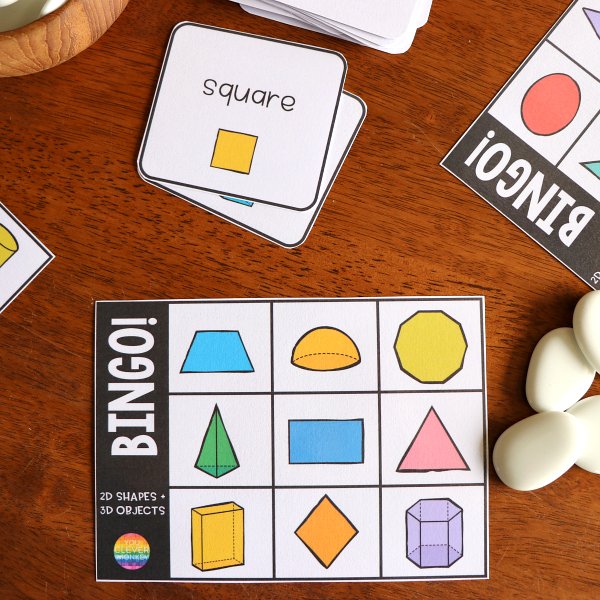 This printable BINGO game with colourful, clean images of 2D shapes and 3D objects is sure to be a hit with any class! 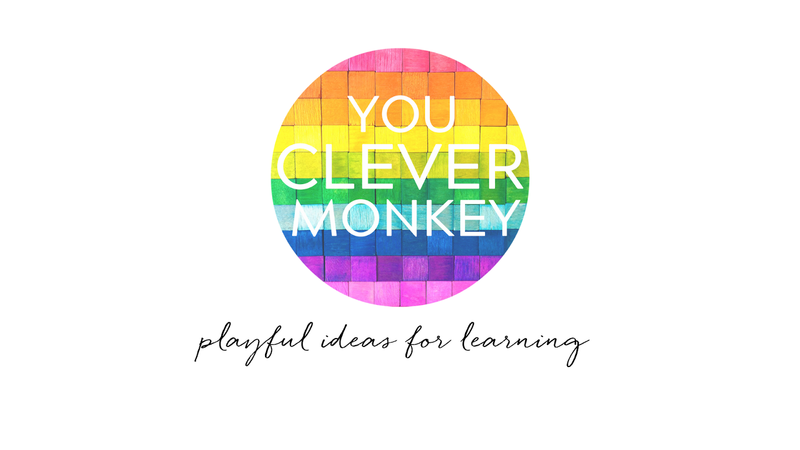 Working as an Early Years teacher, I know I sometimes need to find new ways to teach and re-teach then teach again some of the same concepts. Some and the associated language take longer than others to learn. 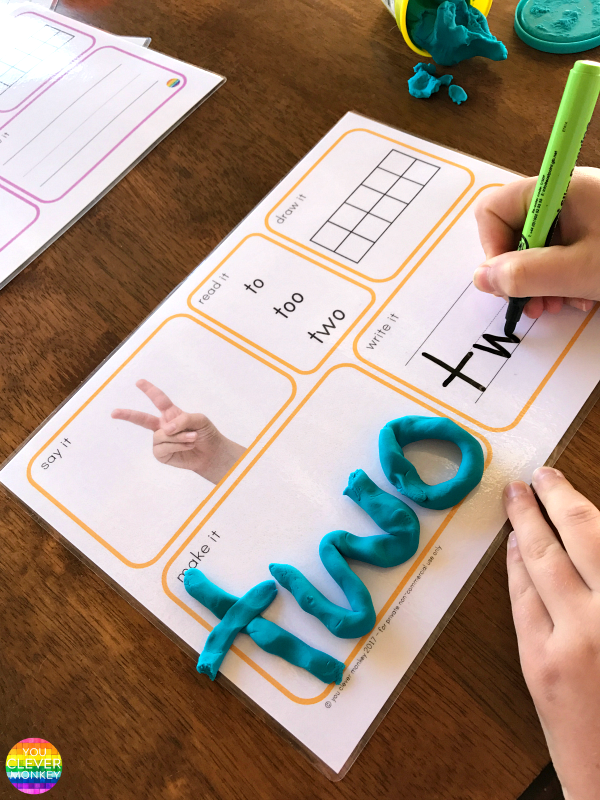 2D Shape and 3D objects use a very specific language which can take some children longer to grasp and remember as they are not terms we use often in our every day speech. Our children need many more teaching moments to make those connections. 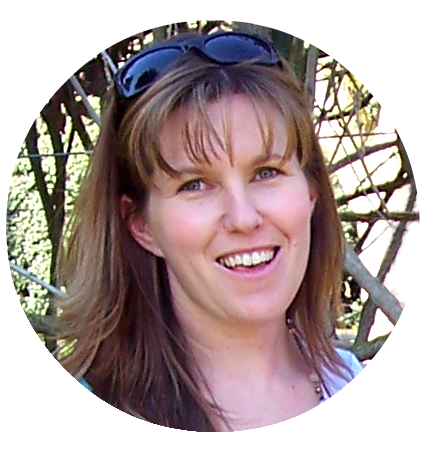 Studies show us that play is crucial in Early Childhood - children need many opportunities for hands-on play with shapes and objects to make sense of them. Creating a print rich environment helps. Our word wall and posters are up around our class and have provided the children much needed support to help consolidate their understanding of these concepts. 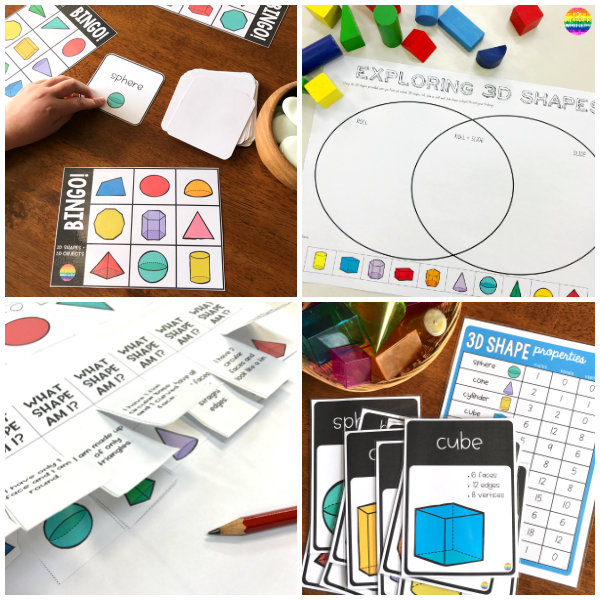 For me, the use of games can be a way to help engage my students. The benefits of playing games together is two-fold - by playing together we are able to learn from each other but we're also developing our social skills as well. Something that doesn't come naturally to every child. My students love games. 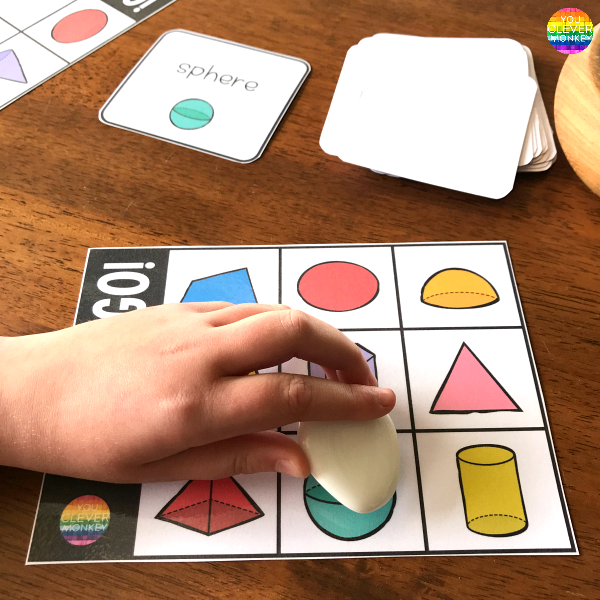 Knowing that many are still learning to recognise and name the different 2D shapes and 3D objects, I created a game to purposely teach and reinforce these concepts. As with any new game, we play it as a whole class first to introduce the game then I can add it to a math centre for the children to play or as an invitation around the room for them to play as they wish. 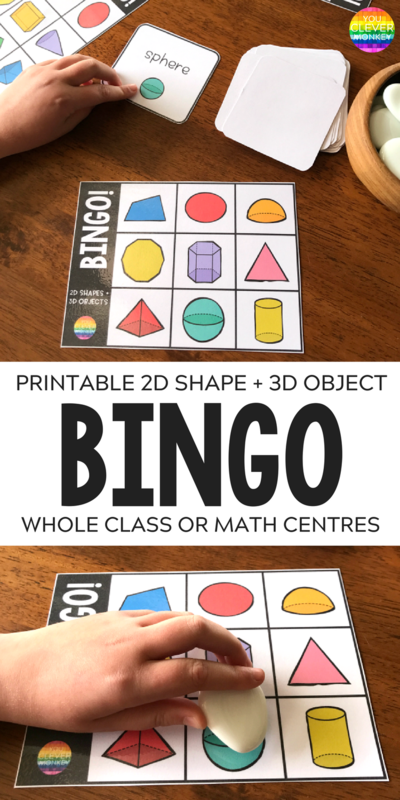 Sometimes I'll use games made for maths in our literacy centres too. To make differentiation earlier for my early readers, I've created two sets of calling cards - one with text and visuals as support and one with text only as I want my students to be able to play this BINGO game independently at times. 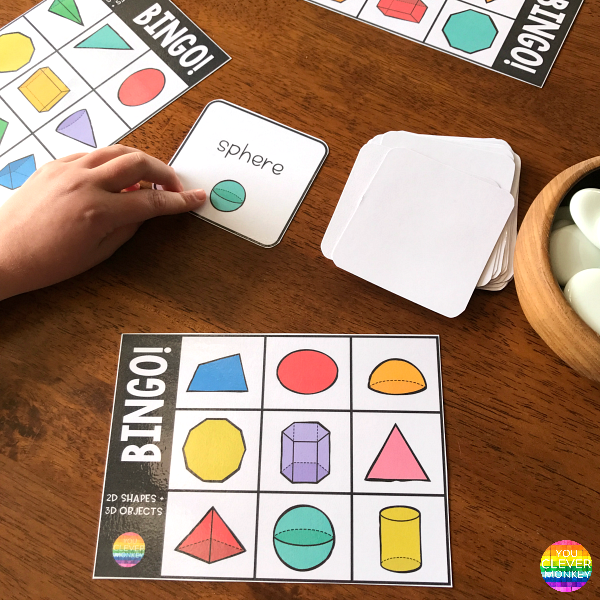 The images used for the calling cards is the same as the BINGO playing mats which also helps some children build their visual discrimination skills. 1 set of calling cards - with text and image as support for beginning readers. 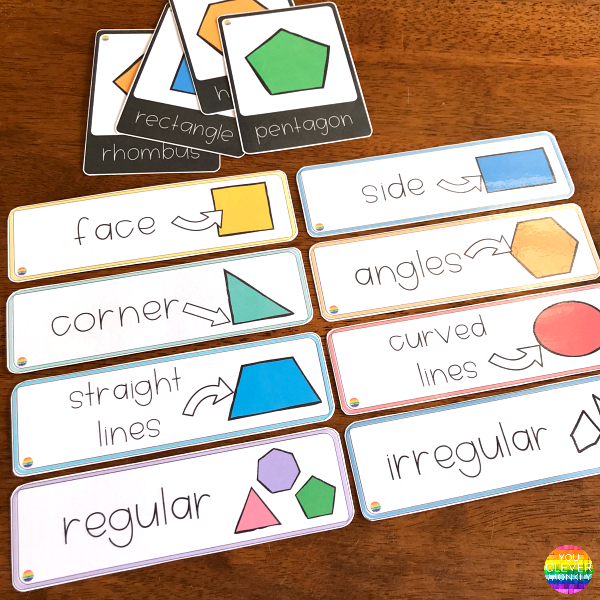 2D Shapes included - circle, square, rectangle, triangle, oval, trapezoid, parallelogram, trapezium, pentagon, hexagon, heptagon, octagon, nonagon, decagon, rhombus. 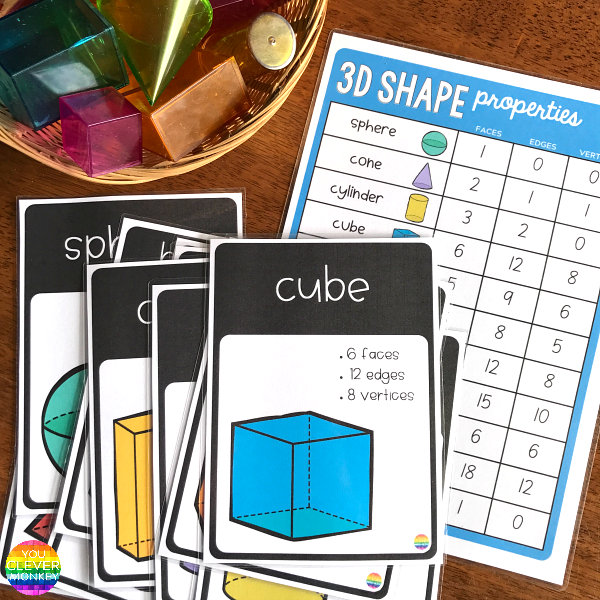 3D Objects included - cube, sphere, triangular prism, sphere, hemisphere, cylinder, triangular based pyramid, square based pyramid, cone, cuboid, pentagonal prism, hexagonal prism. 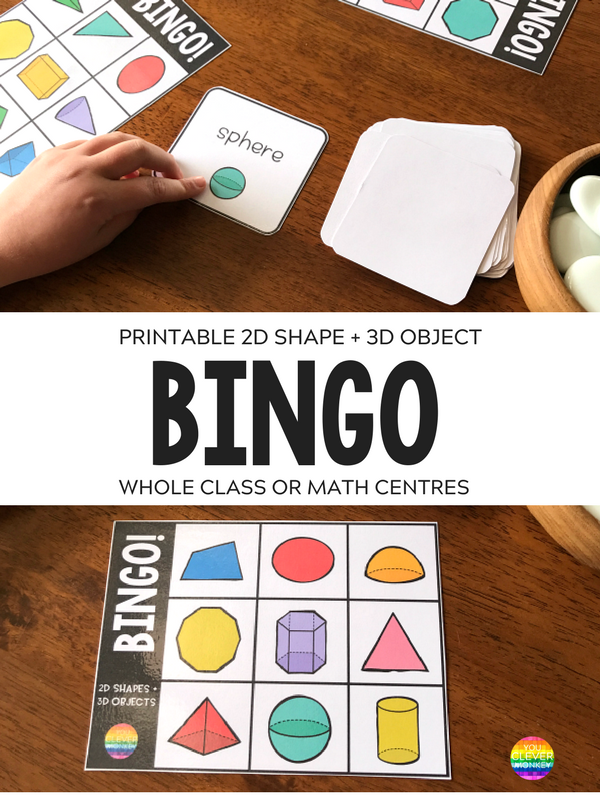 Play as a whole class or add to your math centres! GRAB OUR BIG 3D OBJECT BUNDLE! More than 120 pages to choose from!